Reduce fuel costs. Fleet operators should focus on miles per gallon. Fuel costs are a large direct operating expense, especially for fleets with high mileage each month. Many fleet managers approach fuel cost savings by looking for purchase discounts, which aren’t really feasible unless the fleet can fuel in volume at a single site. Fleet fuel cards can be used to direct driver purchases away from premium fuel, which offers some benefits, but the most significant fuel savings come from selecting more fuel-efficient vehicles. Moving away from heavy vehicles and larger engines can provide 30% to 50% fuel economy increases. Using a fleet tracking system to identify poor driving behavior that burns excessive fuel, such as speeding and unnecessary idling can reduce fleet fuel costs by approximately up to 12% per year. Also, a fleet fuel card will help move 8% of fuel purchases away from premium fuel. Secure the best fleet financing. Proper vehicle financing should absolutely be considered. Leasing vs. ownership of fleet vehicles is a common funding decision for fleet managers, and the economic analysis often ends in a tie. The decision to lease or own frequently hinges simply on balance-sheet considerations. Most fleets are operating profitably but are still in need of some focused attention to improve cost efficiency. Through a handful of good fleet-management practices, my cost savings scorecard shows a 22% reduction in fleet costs. Although indirect fleet costs are more difficult to track than direct costs, they are certainly no less important. A fleet is a business tool that produces benefits for the business no different than a laptop with the right internet service. If it isn’t managed properly, those benefits are lost. In fleet applications where the driver is connected directly to revenue generation and customer service, unscheduled vehicle downtime or high driver administration time can be far more costly in lost revenue than the cost of the fleet. In fleet applications where the vehicle is a part of the driver’s overall compensation, the perk value of the vehicle can contribute to reducing employee turnover. Finally, the fleet vehicle is part of the image projected by the company to the customer, and it can detract from or contribute to the company’s overall marketing efforts. Avoid vehicle downtime and lost revenue. The cost of downtime varies by business and vehicle application. In some cases, a missed appointment or a work order not completed can simply be rescheduled for another day, and only the driver’s time is lost. In other situations, that missed appointment can result in major revenue loss or customer disruption, and the cost of downtime is far higher than lost productivity. Reducing accidents, choosing more reliable vehicles and replacing them earlier, monitoring preventative maintenance, and keeping replacement vehicles all contribute to reducing downtime. 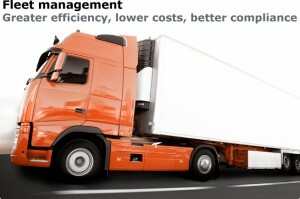 The economic benefit to your business of each fleet management strategy can be weighed against the incremental program costs and the right approach put in place for each vehicle application. A modern fleet management system will certainly help you accomplish all of this and more and are highly recommended regardless of the size of your fleet. After all, optimizing fleet management can produce significant cost savings, improve customer service and increase worker productivity.